Update 2: Very big and exciting news soon to come...! Update: I know it's been two years now, but I am in fact still working on this and planning to update it. I didn't have much time to work for a while. Right now I'm in the middle of rewriting the code from as2 to as3. There'll be a lot of behind the scene changes that'll just make things run so much smoother. On top of that I've redone the layout, which looks much nicer now, it's easier to read and use, and makes it much easier to understand how things work. 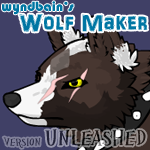 The last thing I have planned before I officially release the next version is a redo for the art on the markings. Lineart will stay the same, but things such as tabby markings, tortie patches, and white markings will be fixed up, and will hopefully look much better. I'd like to get some opinions on whether I should upload the full version over this deviation, or whether I should upload a second one so this version can still be used. Thoughts? Feel free to still comment and give your opinion on this, but it's looking like I'll probably end up putting this version on sta.sh, and uploading the new version over this. That way all favorites and links for this will still be intact, and people will still have the choice over which version to use. If you have any other opinions though, I'd love to hear them! 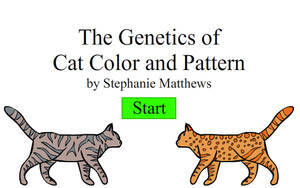 Realistic Cat Creator (RCC) is a fully customizable, genetically sound, cat generator. Currently in beta form, it includes 4 base colors; Black, chocolate, cinnamon, and red. Currently available markings are tabby, tortoiseshell, and white. Options blocked out with the gray N/A block may be shown by switching one of the various on/off switches. Download for a larger size. Feel free to comment if you have any questions or suggestions, and please report any bugs you may find! Any and all feedback is great! Donate to help fund further expansions? Everything helps, and is very much appreciated! To save the cats you make, screenshot (no I'm not going to go into how to screenshot here, but if you think I should, feel free to comment and request it!) the page, and crop everything outside of the dark border around the cat if desired. If you wish to upload the cat you created, you're more than welcome to, but make sure to read and follow dA's rules on this, and always give proper credit, either with a link back to this program, or a link to my userpage. You are not under any circumstances allowed to sell the cats you create in this program for any kind of currency, nor use these for any kind of adoptables, free or otherwise. You are however more than welcome to use the design you've made and use it with a premade lineart, or in a drawing of your own, and you may sell, give away, and use that design however you please. Feel free to link any cats you upload from this, I'd love to see them. 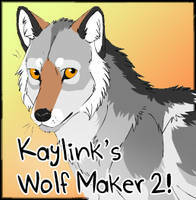 Hey, I just wanted to ask if you were still on deviantart. It's been a while, and I hate to be the "Where are you??!!?!?!!! " person but I haven't seen a whole lot of activity from you. I just want to know if you're still working on this. And yes, I know this stuff takes a long time. im hyped to see what the news is!! I have been using this since you first released it, and so can't wait to see what is in store when you it is completed! 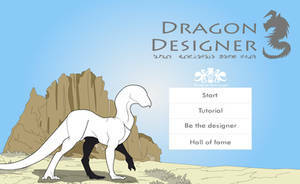 How do I open the creator? DAAANG This good. I love the "Patten Linked Eye Color" Feature. (It's misspelled in the game too, by the way.) 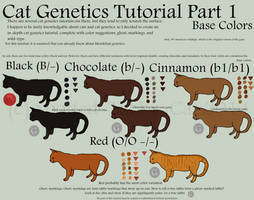 This also explained to me how the grayish brownish tabbies work. Turns out they're just black. Thank you so much for uploading this, and I can't wait for the update! What the heck!! In the 5 years this has been out I never noticed that typo, and nobody else had ever pointed it out. Wow lmao. That's honestly embarrassing, I can't believe that typo just flew under the radar for so long. I'm really glad this was able to help you! Thanks for the comment! XD It took me a while to notice too. No problem, I honestly love commenting and pointing out the little tiny things. Oh, and a feature I'd love. 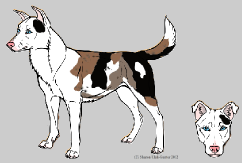 To be able to have a calico option. The spread of the white doesn't quite seem right for a calico. This creator is the best I've seen! Maybe add a broken tabby feature? Can't wait for the final version! Hello! 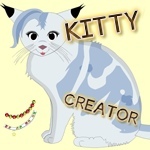 I LOVE this cat creator! Just one suggestion... we should be able to make them look like kits, apprentices, or warriors. Also, we should be able to put claws on them. Are you going to update this soon~? I am! I can't say much about it right now, but I can say that it's no longer backburnered and I'm actively working on it! ЧАСey, this creator is fantastic! Maybe you could include munchkin cats with shorter legs and polydactyly looking forward to the full version! It is amazing. When you will upgrade this? I WANT MORE. 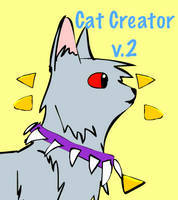 I think so it will be THE BEST cat creator in all internet. Oh my lord, gonna check in every day for this news update <3 Been using this creator since it came out, and I can't wait to use more of this! I have always been interested in the realistic-genetic side of creating characters for roleplays and such, so this has been wonderous. Thank you truly for putting so much time and effort into this! WOah this is fantastic! Are you still working on it? Since the words are crossed out I tought I could ask. Thank you so much! 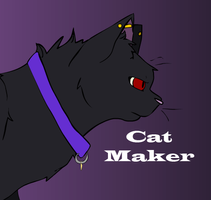 this is, by far, the best cat maker I've ever seen! I'll be looking forward to seeing the final product!! Cool!. How do I save it? "Very big and exciting news soon to come," my heart skipped a beat! Just donated! ;3 Can't wait for the update! Oh my, thank you so much!! The donation is greatly appreciated! The release date is for 2018, but that's all the info I can give at the moment. I'll be posting a full announcement about what's happening with the creator soon though! When it will be finished? May I ask how much process the update is at right now? This is amazing!! May you make it so that we can drag the image somewhere? I really can not figure out how to screenshot, so it would be really helpful. Thank you! The update will absolutely have the option to save the image without screenshotting.